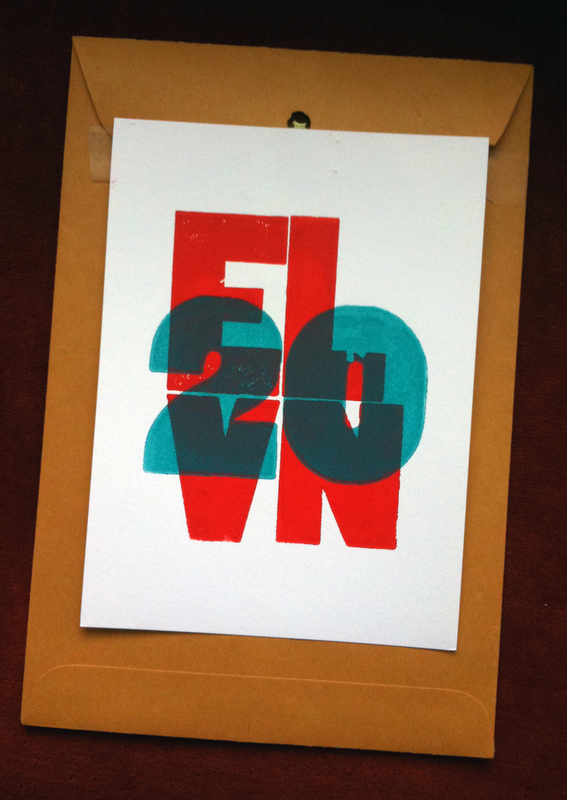 Lovely letterpress greetings for the new year. Above: Jason Smith, Five Finger Art, 2011 greeting card. Just received this in the mail and had to share immediately. A thousand thanks for this exquisite letterpress conglomerate, Jason. ¡Felicidades! This entry was posted by Erik Brandt on Tuesday, January 11th, 2011 at 1:03 PM	and is filed under Aktuell, Art, Education, Ephemera, Geotypografika, Graphic Design, International, News Links, Typografika, Typography.